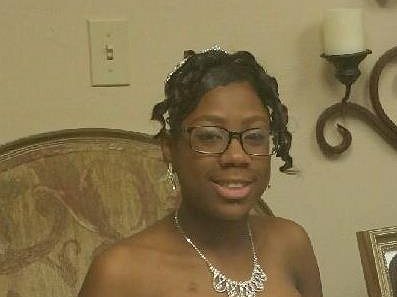 Please help Alizaya receive her kidney transplant. Alizaya was born with Polycystic Kidney Disease (PKD) in 1999 and at that time I was told that she was only promised to me for three years – the prospects of her living beyond that time were not good. In 2008 she was diagnosed with cirrhosis of liver and here she is 16-years-old and holding strong! However, the time has come for Alizaya to have both kidney and liver transplants. My daughter has been on dialysis for a little over a year. The transplant center has asked that we begin fundraising for the anti-rejections medications that will by Alizaya’s insurance will not cover. This is in addition to the other co-pays and deductibles she will have. We are reaching out for donations and prayers to assist in my daughter’s transplant and long-term well-being. We greatly appreciate any donation you can make and your continued prayers which are considered blessings to us. To help offset such expenses, a fundraising campaign in Alizaya’s honor has been established with HelpHOPELive, a trusted nonprofit organization that has been providing community-based fundraising guidance to patients and their families for more than 30 years. All donations are tax-deductible, are held by HelpHOPELive in the South-Central Kidney/Liver Transplant Fund, and are administered by HelpHOPELive for transplant-related expenses only. If you would like to make a contribution please click the DONATE NOW button. Thank you all so much for helping us in this time of desperate need. May God bless you all.